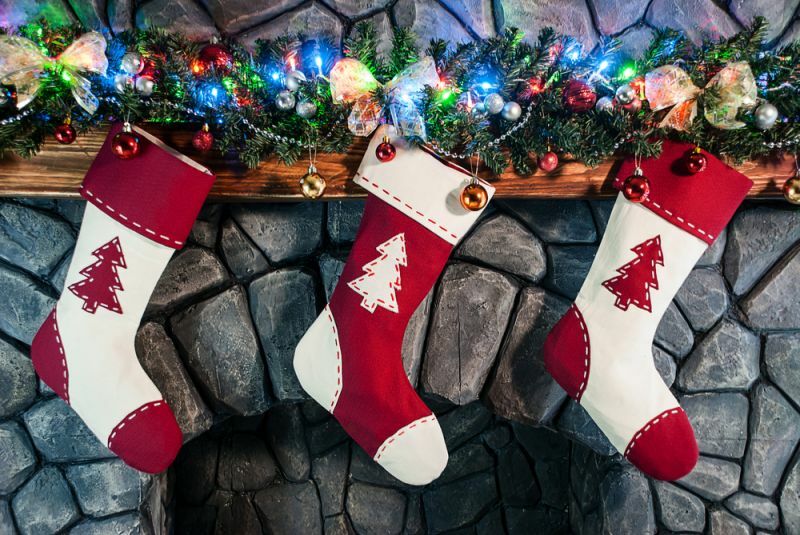 It’s Christmas 2015, and those stockings hanging over the fire have come a long way from being stuffed with trinkets and always overshadowed by those bigger boxes under the tree. Today, they’re the perfect way to surprise your loved ones with a gift that comes not only from the heart, but may even become their favorite this year. Now that tech is in and tech is small, everything from fitness trackers, drone cameras, smart watches and portable speakers make the perfect stocking stuffers — so before you start your shopping, we’ve rounded up some of our suggestions below. Happy holidays! Its waterproof construction and easy-to-operate design don’t sacrifice the HERO4 Session’s video quality. It can capture full HD video at 1440p and photos up to 8MP. One of the most affordable and lightest you’ll find, the CX-10C is a quadcopter that utilizes four propellers for five minutes of maximum aerial photo-taking time. Its 0.3-megapixel camera can take pics up to 98 feet without you ever having to leave the ground. Check out Hubsan’s X4 for a more performance-oriented drone. At $52, the slick black quadcopter can reach a max flight time of nine minutes, operable up to 100 meters out. The Charge HR leads the charge as one of Fitbit’s best fitness trackers, with a five-hour battery life and simple syncing to get you running, swimming and training without missing a beat. At a price of $135, it gets our Smart Rating of 99. Give this fitness tracking watch as a stocking stuffer, and it might just overshadow every other Christmas gift under the tree. Garmin’s premium Forerunner is a watch, pedometer, heart monitor and goal tracker in one, with built-in GPS, smart tech and an LCD screen ensconced in a rugged band. A pair of Sennheiser CX 300-II Precisions come as close to over-the-ear headphones as earbuds can get. Great bass and frequency response, noise reduction and lightweight portability are a great affordable gift at $33. Their around-the-ear, waterproof design make the BackBeat Fit the perfect audio accessory for the athletically minded loved one this Christmas. These Bluetooth compatible sport headphones are lightweight for any activity (24 grams), and come with a long, 8-hour battery life. Marrying vintage, analog styling with modern flair, the S2 Classic is one smart smartwatch from Samsung, with all the features of a mobile phone, activity tracker and timekeeper in one. Classy and elegant, it gets our Smart Rating of 95. What more can we say? The Apple Watch will be a Christmas gift to remember and last for years to come. At $549, it’s got all the hallmarks of the latest iPhone housed on a handsome mesh band. Rated highly by consumers and media alike, we give it a 99 on the Smart Rating scale. Gaming? Movies? Music? No need to choose one when buying that special someone this streaming media device, which supports on-demand Pandora, Netflix, and Hulu content (and more), all at a high-def 1080p. Divoom’s own 3-inch “box of wonder and fun” is more than a Bluetooth-capable audio speaker; it also tells the time and temperature, but best of all, becomes your own digital canvas to sync images and light patterns to the beat. The third in JBL’s Flip series of portable speakers, the 3 is waterproof and Bluetooth ready, with a powerful, built-in sound from its compact size — plus, a 10-hour battery time and eight different colors to choose from. As smart as gaming gets, this console connects you to 26 million people on social media and the Nintendo Network. It also offers high-def graphics that put the 3D in 3DS. Cutting the cord on your TV connection doesn’t mean going without getting your programming fix. Roku’s HDMI-based media stick supports streaming video, audio and even social media, outputting 1080p images with surround sound, too. If you want to give something more than a point-and-shoot but don’t want to go all out with a DSLR, Sony’s attachable camera in its Cybershot line makes the perfect stocking stuffer. The 20.2-megapixel, Carl Zeiss branded lens offers a superior image resolution that outclasses and outperforms others on the market today and must be paired with a smartphone. XINLIN’s X165 drone is one of the most cost-effective stocking stuffers you can buy. At $16, you can still give this affordable remote controlled copter that’s external camera capable, at a wingspan of 70mm and 5-minute max flight time. It’s almost hard to believe a smartwatch this light and minimalist can pack in so much smart. The Round also boasts a simple, classic design, a bright, 1.25-inch screen to display all the features and apps accessible from your mobile platform of choice. Hi-fi sound is hard to get out of earbuds, but Mrice’s E300 comes impressively close with its in-ear design and aptitude to cancelling ambient noises that get in the way of the music. Better yet is its $30 price tag that won’t break the bank on your primary gift shopping. Those days of your radio shorting out near the pool or the shower are gone. FreshETech’s Splash Shower Tunes is waterproof, and with wireless Bluetooth connectivity, there’s no more need for extension cords or outlets to power up and jam out. Even a basic activity tracker like the Fitbit One has enough features to make this more than a 21st century pedometer. Clip it on to track activity/inactivity, calorie intake and burn, plus compatibility with other fitness apps. The Fitbit One retails for $98. What makes the Amazon Fire TV stick a great value stocking stuffer at $40 is its compatibility with as many streaming TV and movie channels you can think of; it’s one of the few devices officially linked to HBO GO. Surround sound and Facebook connectivity are just a few extra bonuses. Polaroid’s come a long way from its antique shoot-and-print days. This rugged action camera can withstand the elements of any outdoor or underwater excursion — down to 33 feet, to be exact. If documenting your next skydiving trip on Vine is your thing, the Cube captures video up to a resolution of 1440p. Like something out of a futuristic gym, the Fitbug Orb is more than an activity tracker, easily syncing to your mobile device of choice to broaden and reach your fitness goals. Its LED tracker flashes with updates and lends a sleek look to anyone who wears it. Though designed as a bookshelf speaker, you can use UE’s Roll anywhere you like, since it can project music in every direction, wirelessly, for up to nine hours. In addition to high-rated bass response among reviewers, the Roll is easily synced up with any device for streaming your favorite tunes. Ok, this one’s not exactly the newest tech gadget. 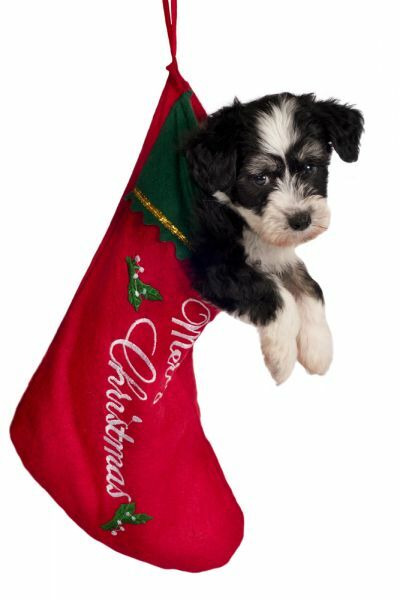 But everybody loves dogs, the right-sized pup can definitely fit snuggly in a stocking. Dress it in a bow and a puppy makes the perfect companion for any animal lover looking for a new best friend. But remember, before giving a pet as a gift, make sure you’re positive that you or your intended gift recipient is committed to the responsibility of caring for a new member of the family.